Escape Game Bestowal is a new escape game free escape games from ajazgames,escape gamer today have it easy, if you wanna have some overwhelming game to easy your mind from stress and relax your way, this is for escape gamers. you will have a lot control over this free online game, has rapacious strategies completely family friendly game. 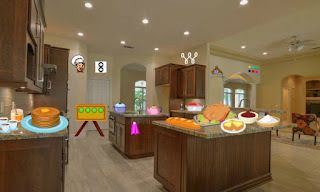 find the clues and hidden objects solve the puzzles with you high level of memory and competency, all the best, good luck, have fun playing free online games, point and click games, new escape games, best escape games from ajazgames. Quickly memorize the clue given and get it entered at the spot given for the clue to be entered for new objects to be received, get those objects and find the spot or place where you can find the found substance to fit in, there are few article or entity found on the open space, which you might have look through closely. Escape game Lynx wildcat Is a 2017 mix escape game from ajazgames.,when a structural security authorities have locked up a lynx or cheetah behind doors, it is world deadliest prison which would be locking up innocent creatures behind bars from its natural habit, You being a vegan planning to save the innocent animal.all the best, wish you good luck, have fun playing free escape games, new escape games, point and click escape games, online escape games, free online games from ajazgames.